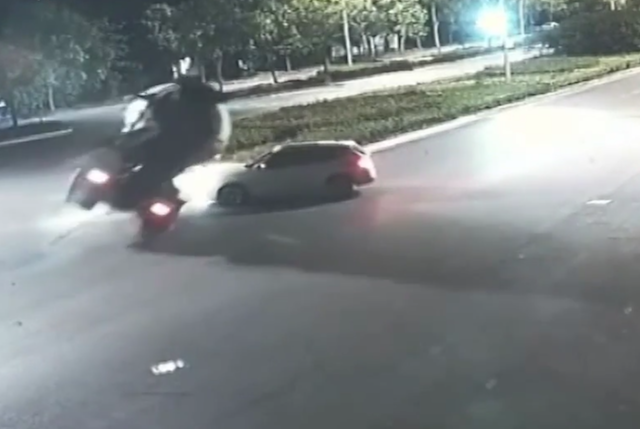 A driver in Taizhou in the Zhejiang Province of eastern China is possibly one of the luckiest people around today, as terrifying CCTV footage shows the moment he survives a massive truck tipping over right on top of his car. The video, captured on September 3, showed the car attempting to cross a seemingly empty road. As the car stopped in the centre of the junction, the cement truck appeared, and unable to swerve in time, lost control before toppling over and landing on top of it. According to local media, both vehicles were at fault. The car was driving in the wrong direction, but the truck was overloaded with a massive 23 tonnes of concrete. Luckily for both drivers, neither was heavily injured in the incident. The emergency services transported both to hospital, where they are said to no longer be in a serious condition.